Do you have a Health Concern? We can Help you with your Health Assessment! 4200 Symptoms and 830 Diseases covered! Here is an Example of what You Will See. It's Free! What is a Symptom Checker? A symptom checker is a system allowing the detection of any subjective evidence of an ailment or medical condition. Subjective evidence is defined as a symptom, as only patients can discover them. The symptom checker may be run by the user/patient or with the assistance of medical personnel, as symptoms are, by definition, known to the patient only. In opposition, a sign is objectively determined by a medical professional. For example, blood coming out of the nose is a sign. It is apparent to the patient, physician, and others. Dizziness, low back pain, tingling in the feet or anxiety are all symptoms, as only the user/patient can perceive them. A symptom checker can be of different forms. The most frequent ones are either keyword based or artificial intelligence based. All symptom checkers will try to determine a differential diagnosis (DDX). We consider MEDoctor's symptom checker to be of a superior type, as it is patented, with its patents granted (see US Patent #7,149,756 A - December, 2006 - ,and EPO Patent #EP 1284639 B1 - July, 2008. MEDoctor practices policies that are intended to protect the confidentiality of personal information obtained from users in the course of its regular business functions. We are committed to protecting information about users, especially the confidential nature of any personal information (PI) we collect. Personal information is information that is capable of being associated with an individual through one or more identifiers including but not limited to, a Social Security number, a driver's license number, a state identification card number, an account number, a credit or debit card number, a passport number, an alien registration number or a health insurance identification number, and does not include publicly available information that is lawfully made available to the general public from federal, state or local government records, or widely distributed media. To this end, the MEDoctor Symptom Checker does not require that you identify yourself in any way other than an account name and password that you yourself choose. While the name you choose may be associated with you or your activities on the Internet (such as an email address), there is no requirement that it be so. MEDoctor considers the account name, password, and entered data to be sensitive information and restricts access to it. The material on this web site is provided for educational purposes and is not intended to replace the medical advice of your doctor or other healthcare providers. 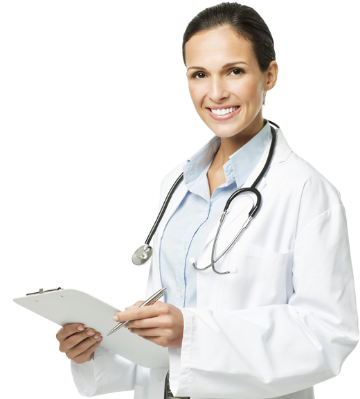 Only medical professionals who examine you can give you medical advice or diagnose your medical problem. We do not intend to create a physician-patient relationship. Your reliance on the information you receive from MEDoctor is solely at your own risk as MEDoctor cannot control the Health Assessment generated by your input. If you have a specific health question, contact your physician. MEDoctor monitors new health developments and advances, and updates its contents as needed.